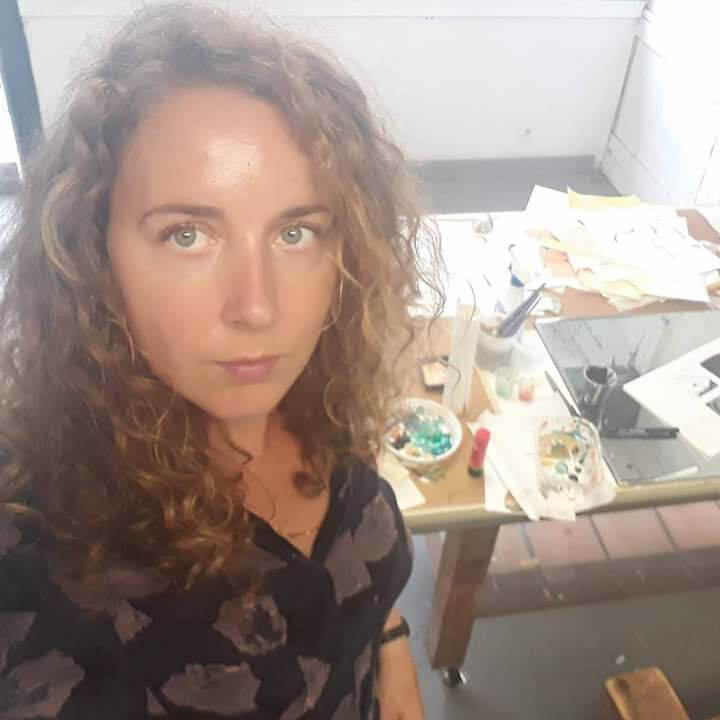 My name is Marie Van Praag and I’m an artist that lives and works in Belgium. I went to the Academy of Ghent (KASK) and have a degree in ‘Fine Arts - Printmaking’ and ‘Graphic design - Illustration’. I like to work on very different projects. Some projects I initiated myself, others are commissioned. I love to travel and sometimes I try to combine my work and my passion for traveling by doing Artist Residencies. I work as a teacher at Academie Noord, H. Pius X - Instituut and freelance for Wisper vzw and De Veerman. I hope you like my work!